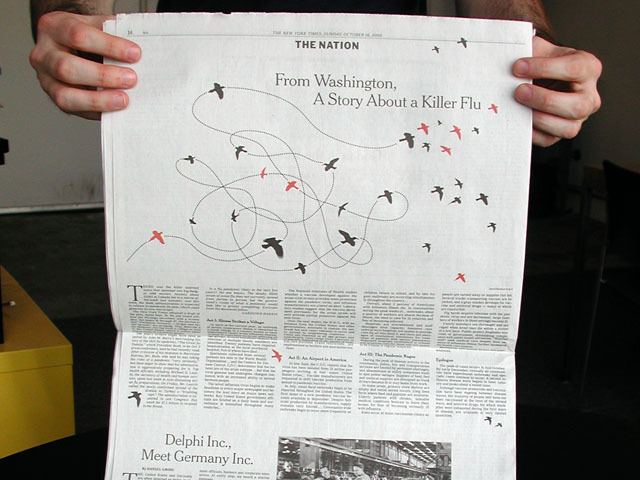 This illustration commissioned for the New York Times Week in Review section on Sunday, October 16 for an article about the US governments Bird Flu contingency plan. The bird sillouettes are heavily indebted to Mr. Roger Tory Peterson and his A Field Guide to the Birds. Thank you, RTP.